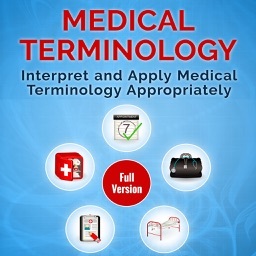 In each level you are given a medical term or an abbreviation. 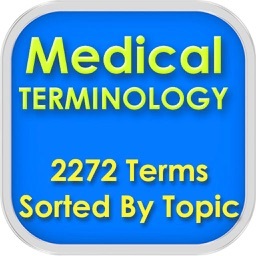 These terms consist of diseases, tests and symptoms and other medical terminology. 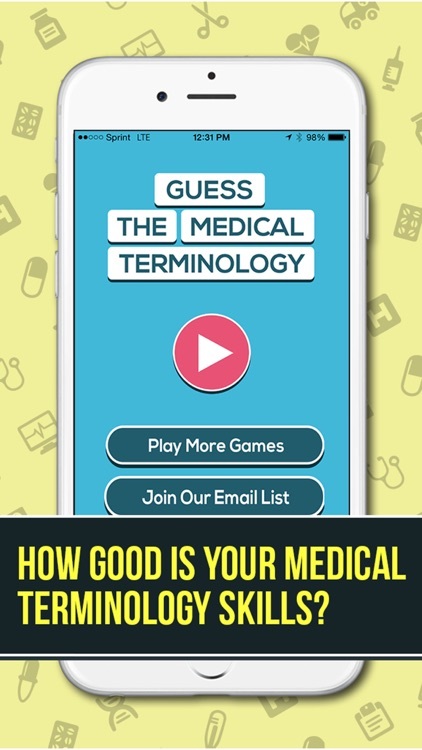 It is up to you to choose the right letters in 5 attempts in order to guess the medical terminology! 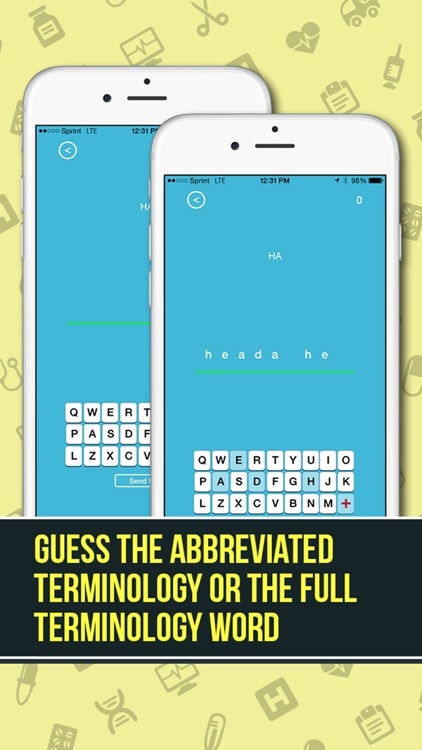 Guess wrong and you do not advance to the next level. 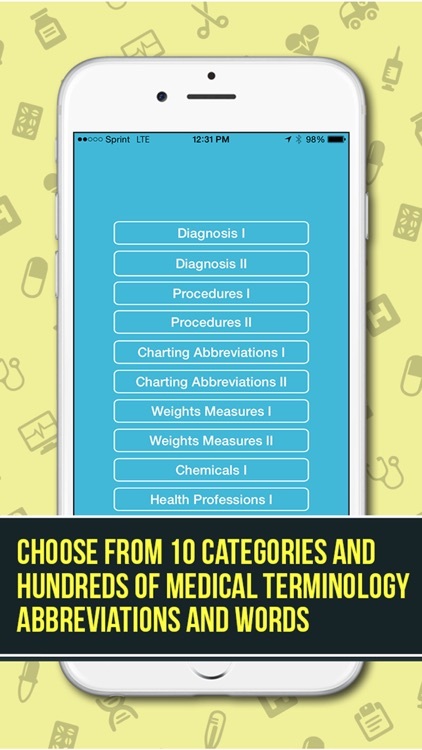 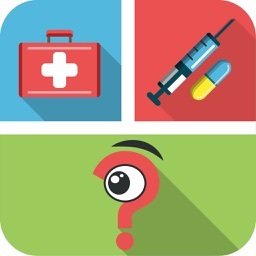 Challenge your Medical Terminology with over hundreds of Medical Terms and Abbreviations to guess! 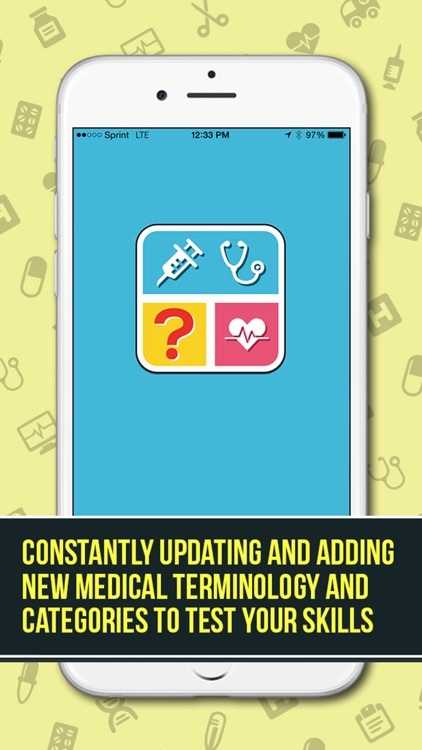 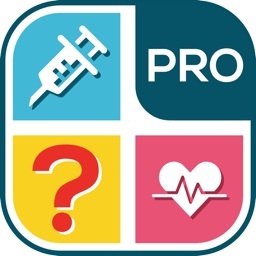 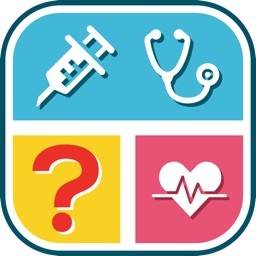 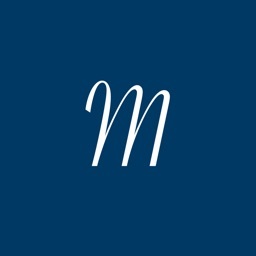 If you like this medical app, kindly leave us a review so we can make it better!